With its $3.4 billion public offering, it’s a momentous week for Snap Inc. and its wildly popular Snapchat app. 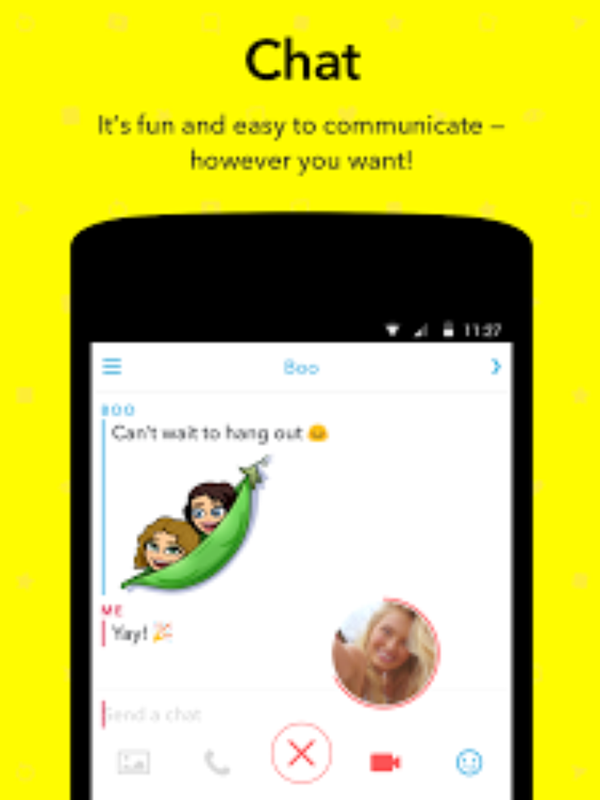 While you’ve no doubt heard about this visual-centric messaging platform, you may not be all that familiar with what it is and how it works – perhaps because most active Snapchat users are tweens, teens and twenty-somethings. Given all eyes are on Snapchat this week – especially among professional and casual investors – we thought we’d bring you up to speed on this trendy app, represented by a white ghost against a yellow background. The nearly 6-year old messaging platform initially made a name for itself because photos and short videos (called “snaps”) self-destruct after viewed by the recipient (between 1 and 10 seconds, as determined by the sender). Users like the lack of a digital footprint, though many parents understandably are concerned about teens using this platform for sexting. 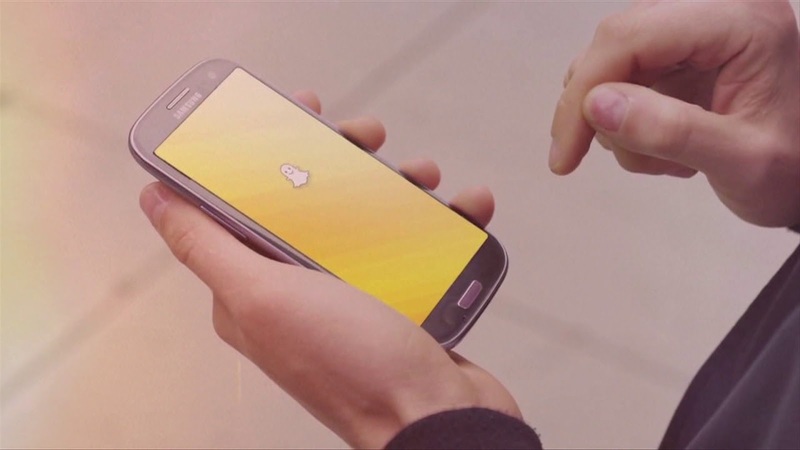 Snapchat added many other features over the years, including “Geofilters” — graphical overlays when in a specific geographical area, such as a city or an event — followed by “Lenses” augmented reality technology to spice up selfies. Using face-detection, users can swipe left or right to superimpose animated graphics onto of their faces and then share the (often-silly) images with other Snapchat users. 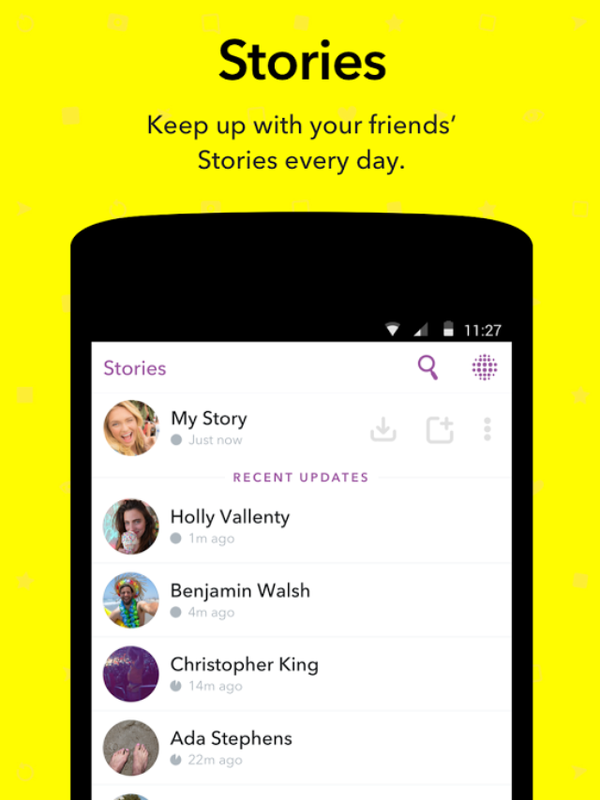 While self-destructing snaps can be sent directly from one Snapchat user to another, a “Story” is when images and videos (which can include text, too) is posted on your profile, allowing anyone who follows you to see it, and it’s accessible for up to 24 hours. In other words, rather than a private message, stories are public (to your followers) and lasts up to a day instead of up to 10 seconds. 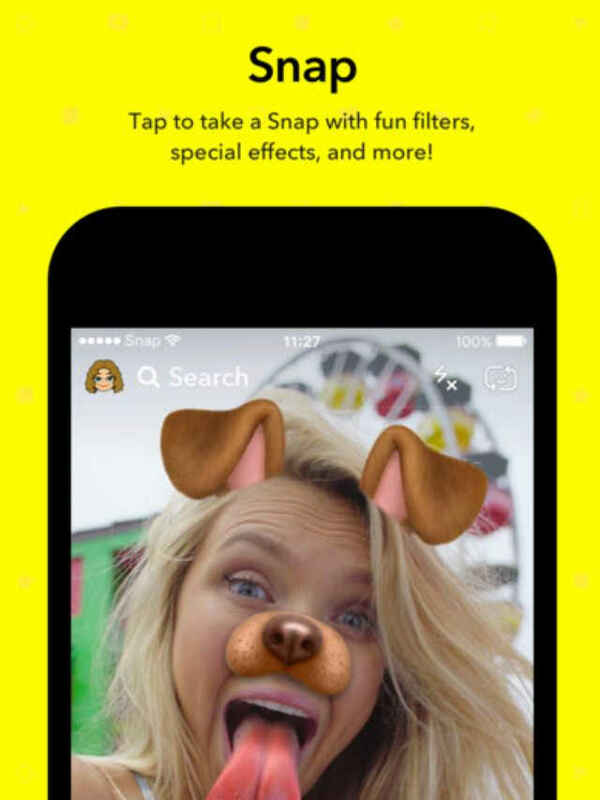 Snapchat has also introduced “Discover,” an area with the app that contains many channels of short-form content from major publishers, such as CNN, BuzzFeed, ESPN, Food Network, Cosmopolitan, People, Mashable, Esquire, and IGN, to name a few. 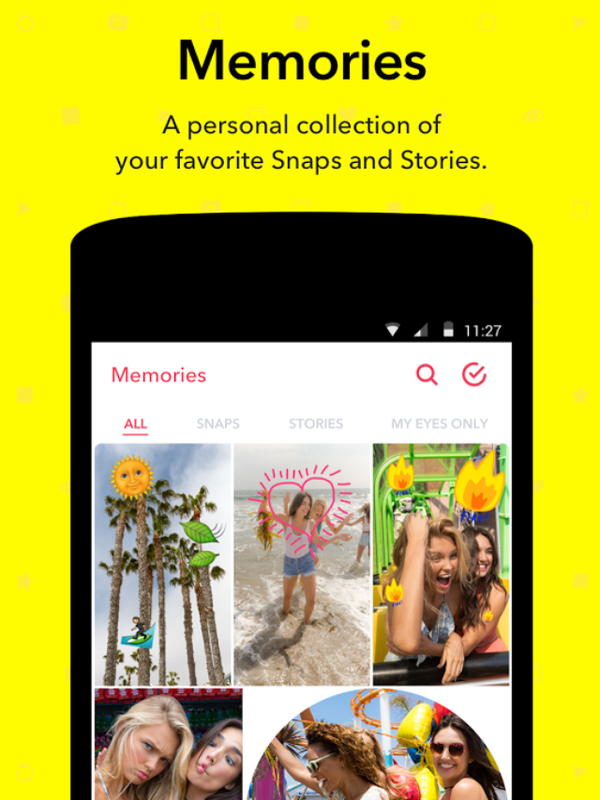 Last summer, Snapchat bowed "Memories," which allows snaps and stories to be saved to your device, to view later on. Snaps are inaccessible after up to 10 seconds, yes, but there are some ways the recipient can save them. It’s possible to take a screengrab of the snap, to view later and indefinitely, though the sender is notified when a screengrab is captured. There are also unauthorized apps like SaveSnap and Casper (and others) that let you save photos and videos. Plus, recipients can also use another phone or camera to capture and share private snaps, of course. In other words, there’s no guarantee images are truly gone after a few seconds. Twice in 2016, Snap Inc. came under fire over two of its “Lenses” that alter your face via your smartphone’s camera. Last April, a Bob Marley filter digitally turned people’s faces black (if it wasn’t already), along with adding dreadlocks and a Jamaican Rastafarian hat. Critics felt this “blackface” filter was racially insensitive. There’s more to Snapchat than the app. Available through Snapchat’s “Snapbot” pop-up vending machines, and sold online as of last week, Snapchat Spectacles are a pair of smartglasses that let you record videos up to 10 seconds – captured from a first-person perspective – and then synched via Bluetooth with a smartphone to share it through the app. Spectacles cost $129.99, which includes a charging case and cables, and are available in three colors. According to The New York Times, Snap Inc. – which called itself a “camera company” in its IPO filing – is allegedly working on a drone to take photos and videos from above. Time will (soon) tell how investors will react to Snapchat’s constantly evolving software and hardware offerings. But now, in a snap, you’re up to date on Snapchat.